The 46th Annual Daytime Emmy Awards are less than two months away, and daytime is gearing up for its biggest night of the year. The ceremony is set to take place on Sunday, May 5th, and will be held at the Pasadena Civic Auditorium. On Friday, May 3rd, the Creative Arts awards will be given out at the same venue. The Daytime Emmys have been held at the Pasadena Civic Auditorium for the past two years, and has been telecast online on several social media platforms, particularly Facebook and Twitter. The ceremony honors the best in daytime television that air from the hours of 6 AM to 8 PM. This Wednesday, March 20th, the official nominations will be announced. The BUZZ will have the list updated with the soap categories when it becomes available, so stay tuned! Who are you rooting for to make it to the final round of nominees this year? Amy Pietz, Conversations in L.A. 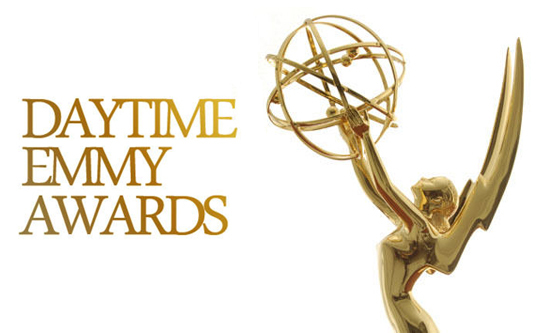 The 46th annual Daytime Emmy Awards will take place on Sunday, May 5th, and the Creative Arts takes place on Friday, May 3rd, at the Pasedena Civic Auditorium. What about Steve Burton he is a very good actor and he is doing a excellent job on General Hospital.You have names on here of people who do a poor job of acting.Iam just saying!!! These names are the pre-nomination list. So, this is the list that always gets announced before they make the official nomination announcement. The nominees here have the chance to go to the next round, and in 2 days, we will have the official nomination list. On his podcast Steve said he didn’t enter a reel. He said that Max Gail was so outstanding that he didn’t want to take away anything from him.